In addition, GodMode also provide additional customization options for the Windows operating system which hidden from the control panel. GodMode is built into Windows 10, just as it was in previous Windows versions such as Windows 7, Windows 8. 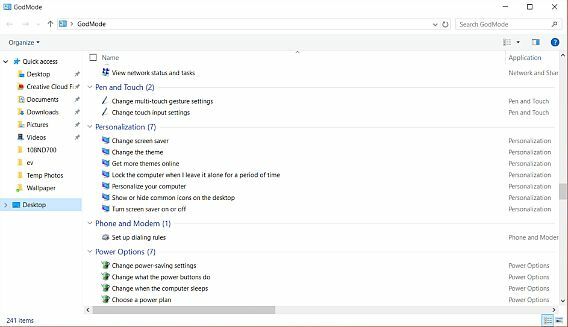 Here’s a good news for Windows 10 power users or IT administrators those who wish to go behind the curtain of the friendly user interface and get down to the business of tweaking and customizing the operating system, just follow the steps below to enable the GodMode feature. 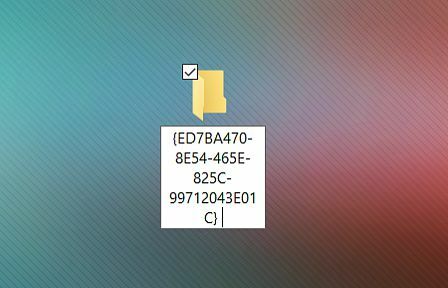 Create a new folder on Windows desktop where user want the GodMode folder to be by right-click in Windows Explorer, select New > Folder. Note: Make sure computer has administrative privileges. Now, the folder icon will be change and replaced by the Control Panel icon, double click it to show the GodMode window. The folder now be filled with more than 260 tweaks and tools (or more than 40 categories) including User Accounts, Windows Defender, Windows Mobility Center, and many others, that allow Windows user to access. User also can drag and drop any of the commands to desktop to create a shortcut for the command.